Safety for all is something that everyone conducting business in the restaurant, bar, and hospitality industry should try to achieve. However, many establishments are failing the people on their premises simply because they don’t know how to achieve safety and they don’t know what is required of them. Because OSHA does not currently have a category specific to restaurants, bars, and hospitality businesses, navigating through their text and requirements can be difficult and overwhelming, but that does not mean it is impossible or should be ignored. In fact, ignoring these requirements could cost you your livelihood or it could cost someone their life. 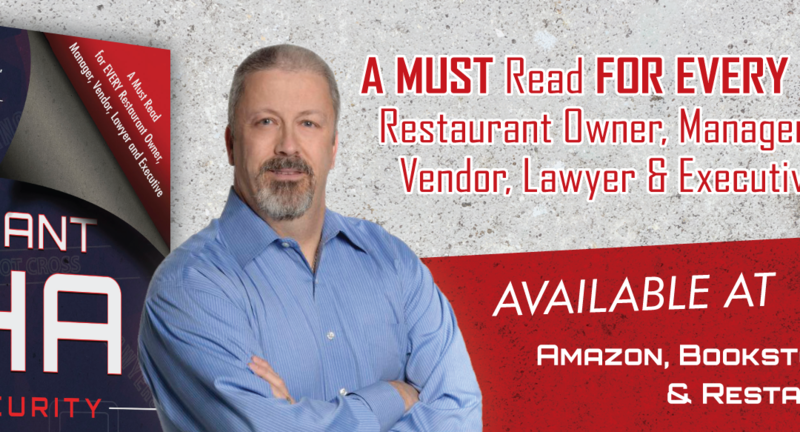 Howard Cannon’s new book, Restaurant OSHA Safety and Security, The Book of Restaurant Industry Standards & Best Practices ©2016, is the first text to plainly explain OSHA standards for restaurants. As an OSHA expert witness for the restaurant, bar, and hospitality industry, Mr. Cannon clearly lays out the standards for OSHA restaurant safety and the requirements for OSHA restaurant regulation that businesses in the industry must meet. Everyone in the restaurant, bar, and hospitality industry needs this book to improve their establishment and to ensure the safety of everyone who sets foot on the premises which could save your business and save lives! To find out more about Howard Cannon’s new book or to purchase a copy, CLICK HERE. If you’re looking for Restaurant, Bar or Hospitality industry expert witness services and litigation support and would like to discuss your case with Mr. Cannon, please call: 800.300.5764 or Email. You can find out more information about Howard Cannon by clicking HERE to view his Bio information. To read more about Restaurant Expert Witness and the expert witness services and litigation support that Mr. Cannon provides, click HERE. We look forward to hearing from you and speaking with you about your restaurant, bar, or hospitality industry matter!